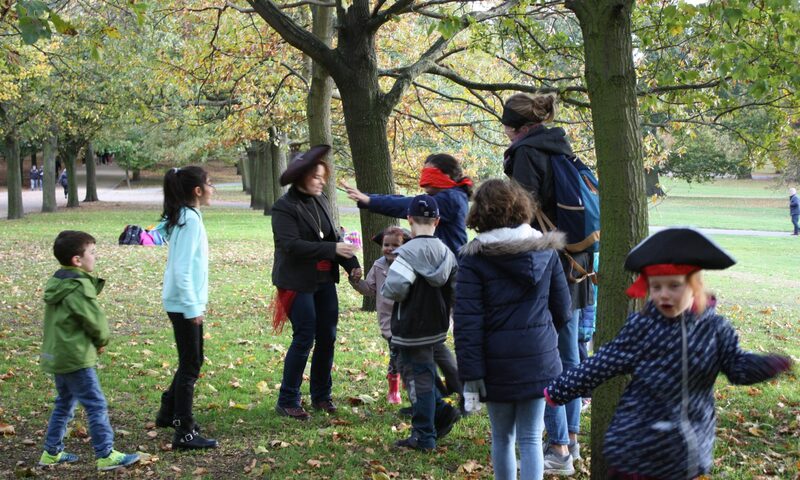 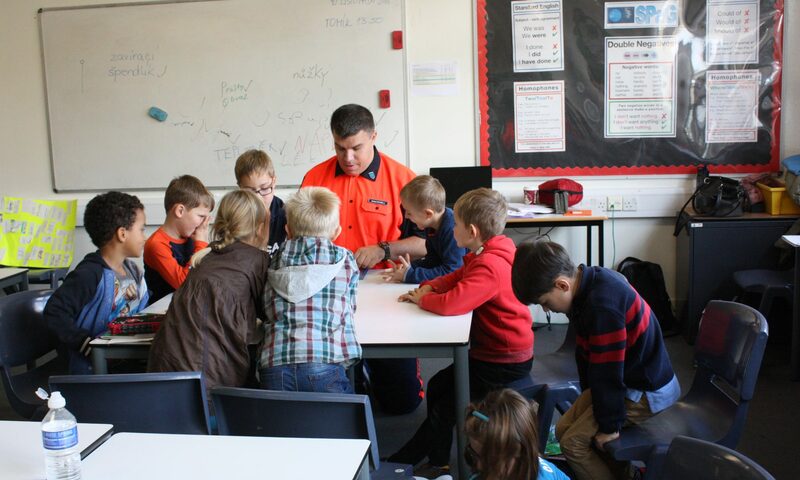 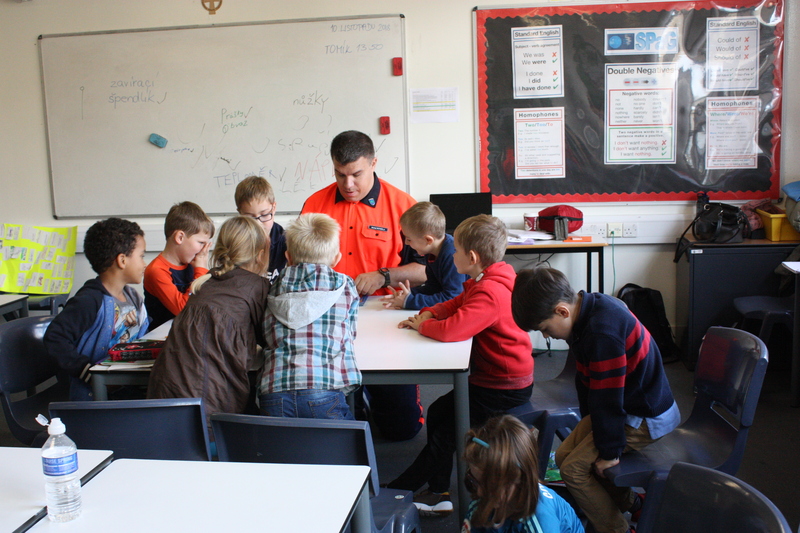 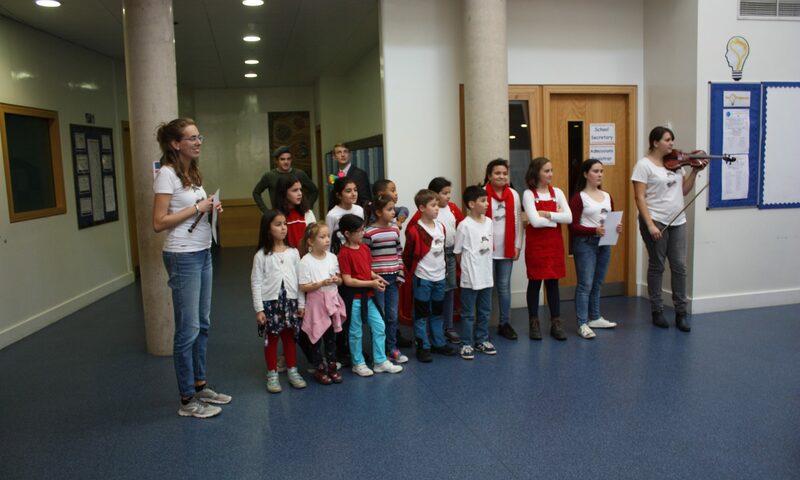 Czech School without Borders, London organized again a St Nicholas event for its pupils and their parents. 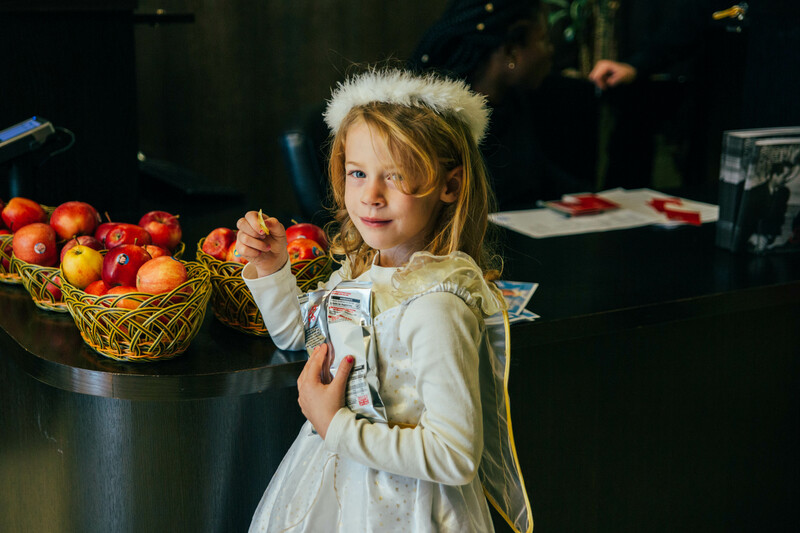 On December 8, 2018, at 2:45 the Church St Mary Magdalene opened and the full program could start. 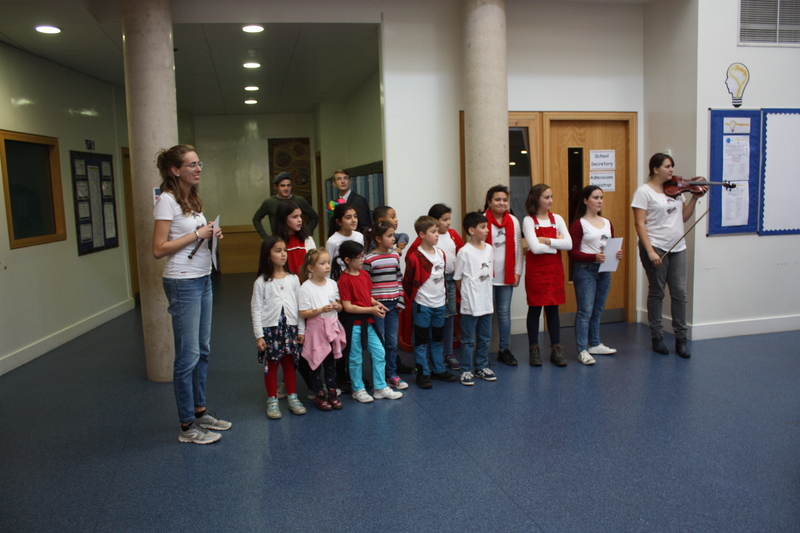 After a short introduction, pupils from Year 5 performed a play that was prepared by teacher Adela and trainee Adam. Children played about the winter child games and Christmas so the audience thanks to that they could feel the coming Christmas atmosphere. Then, children and their parents enjoyed the great feast; meals were prepared and brought by all parents. 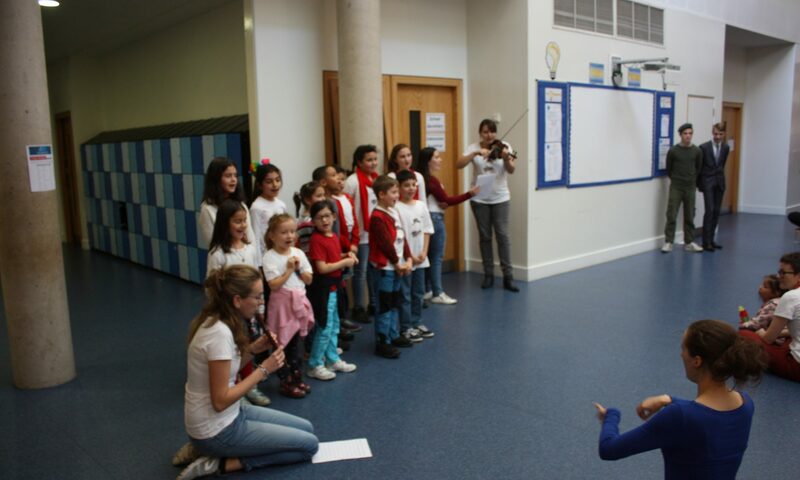 After that, another performance took place. 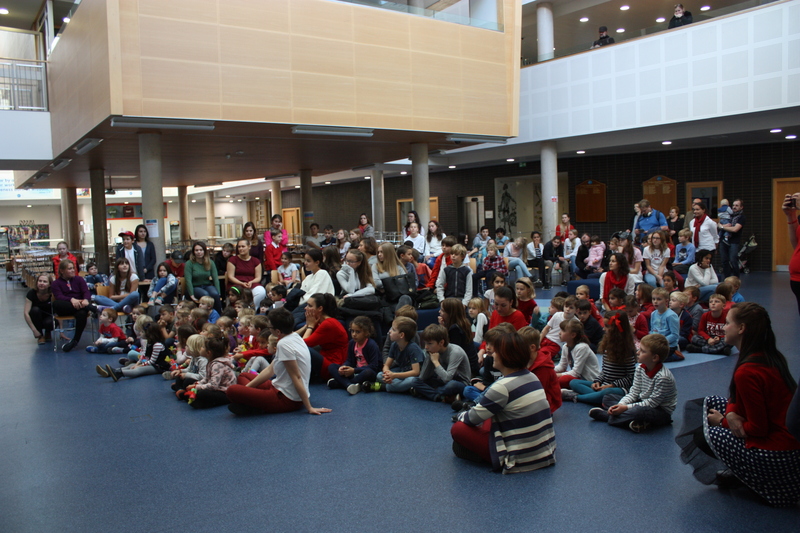 Children from lesson called Hudební půlhodinka together with trainees Káťa, Maruška and Kačka sang a few Czech Christmas songs and carols. 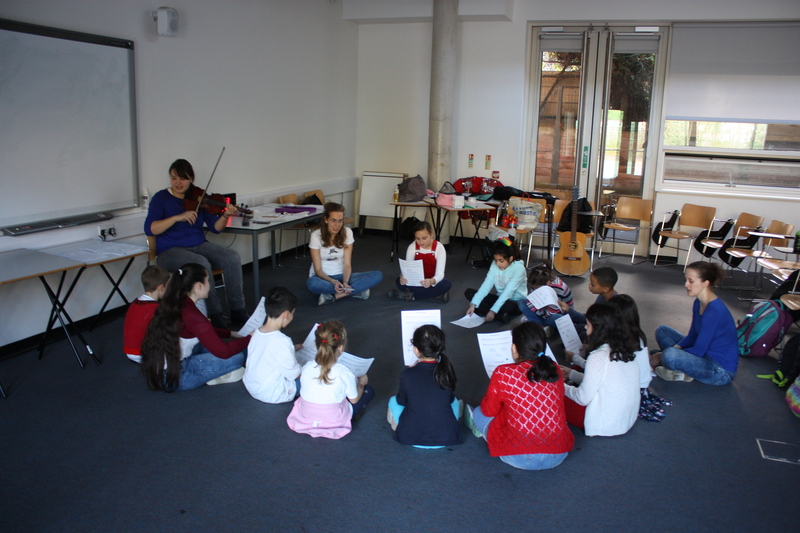 Children also played the maracas, the triangles, and the drum. 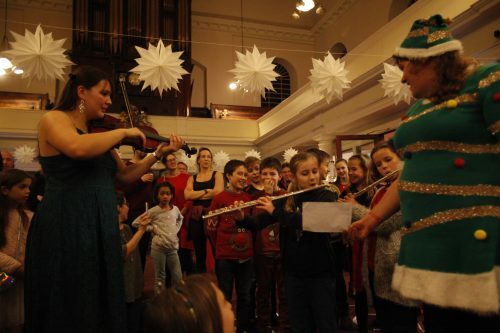 Moreover, three parents accompanied the performance by playing the guitars and the flute. 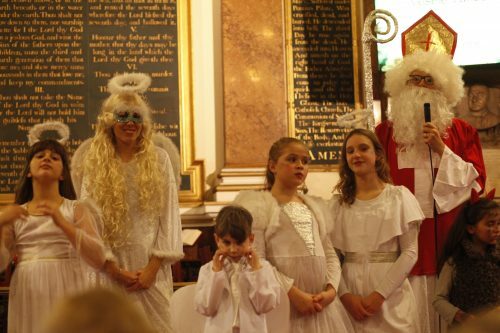 The carols and songs invited St Nicholas who arrived with the angels and devils. 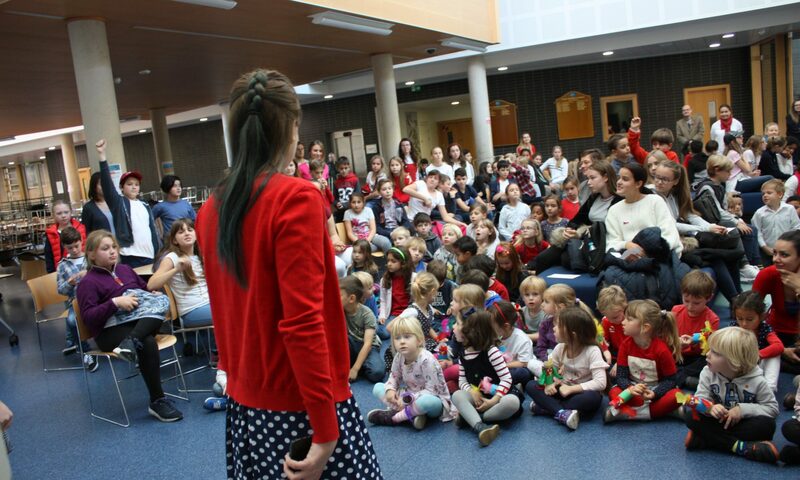 St Nicholas had a pack full of many small presents for every child but at first, children had to sing him a song and swore to speak Czech at home and to read Czech books with parents. 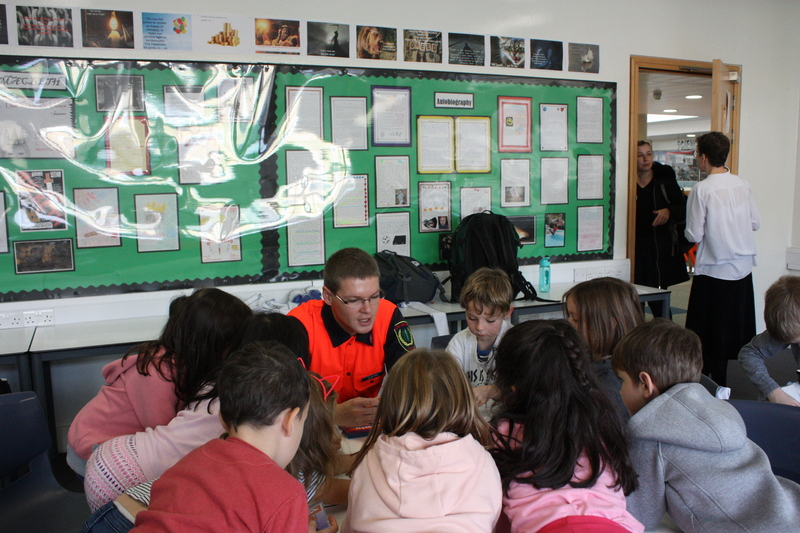 Children were very excited about the packs and presents. 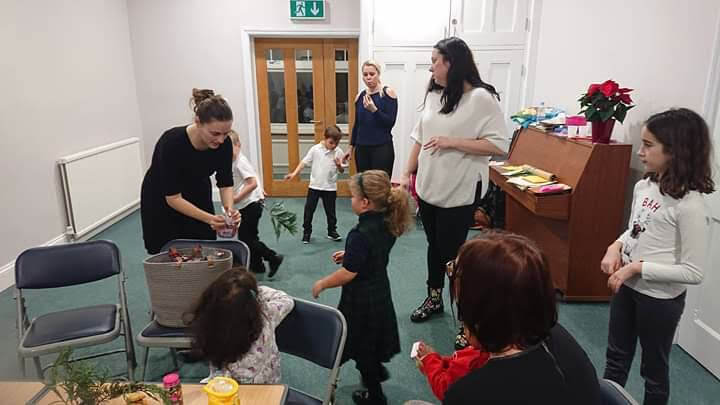 At 6 pm they were leaving the church with small presents and their own handmade products that they had made during the whole day, such as paper Christmas trees, angels or handmade decorated gingerbread. 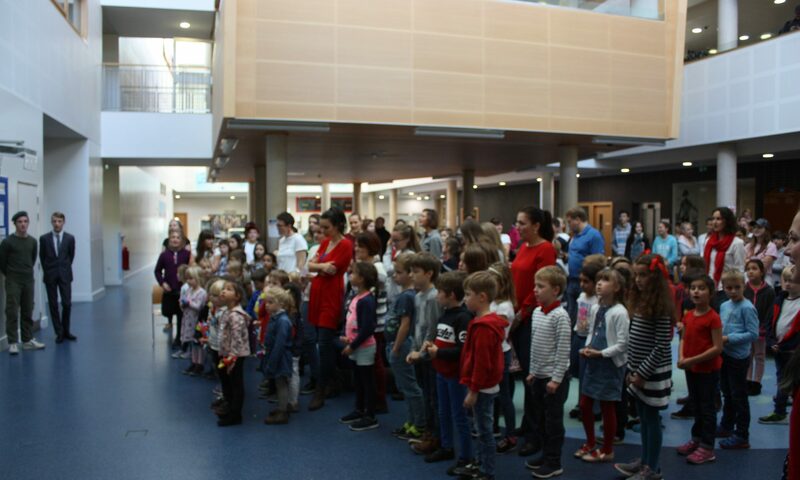 The whole St Nicholas event was very successful; children and their parents enjoyed the programme, meals and creative activities. 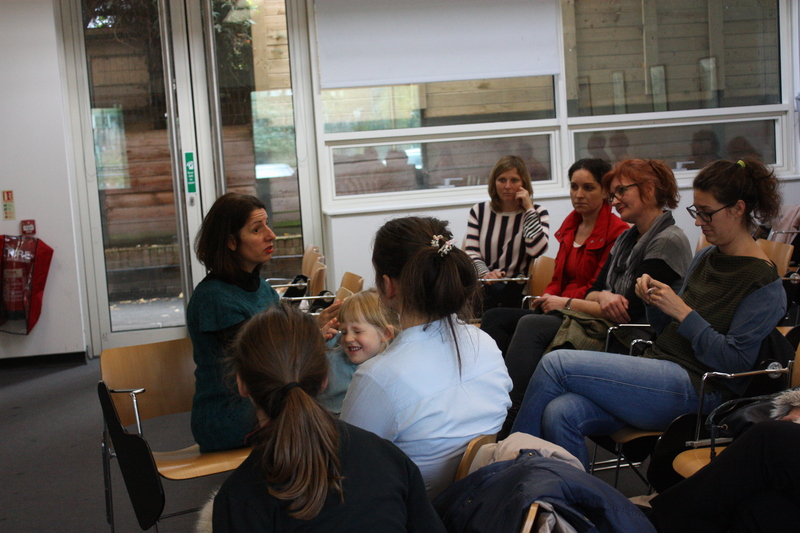 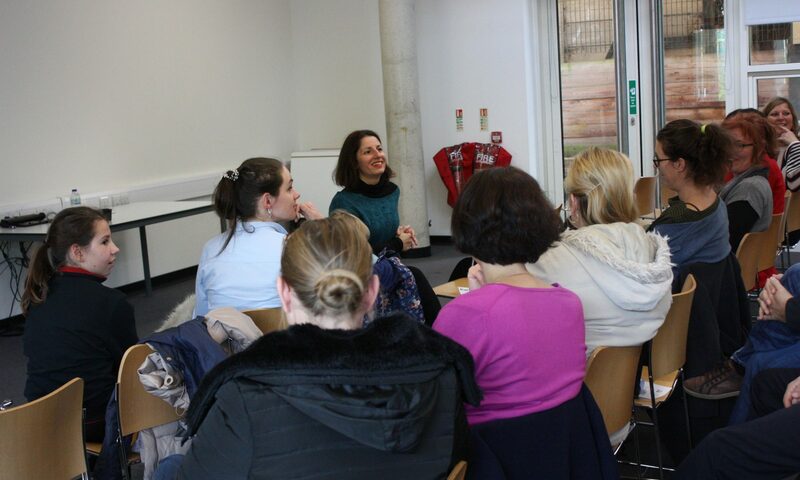 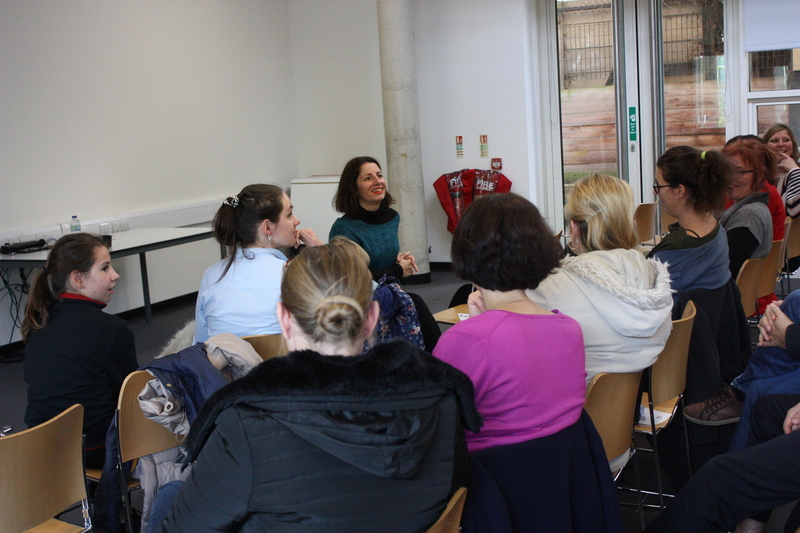 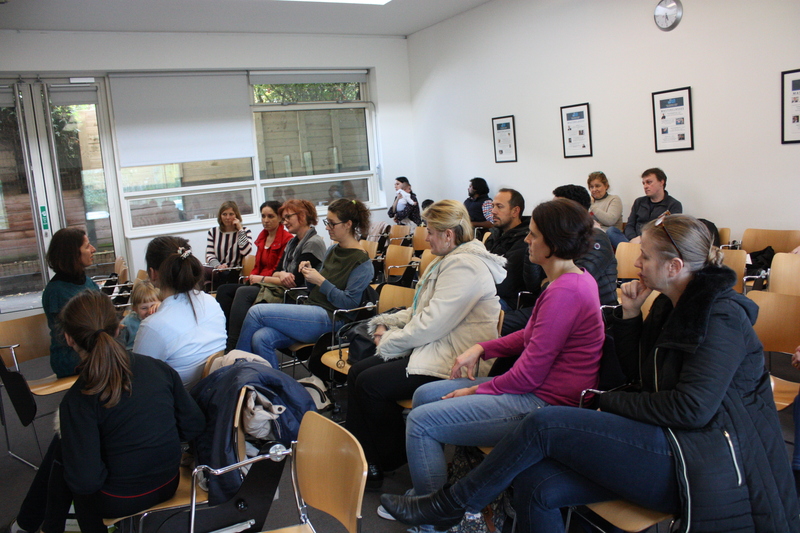 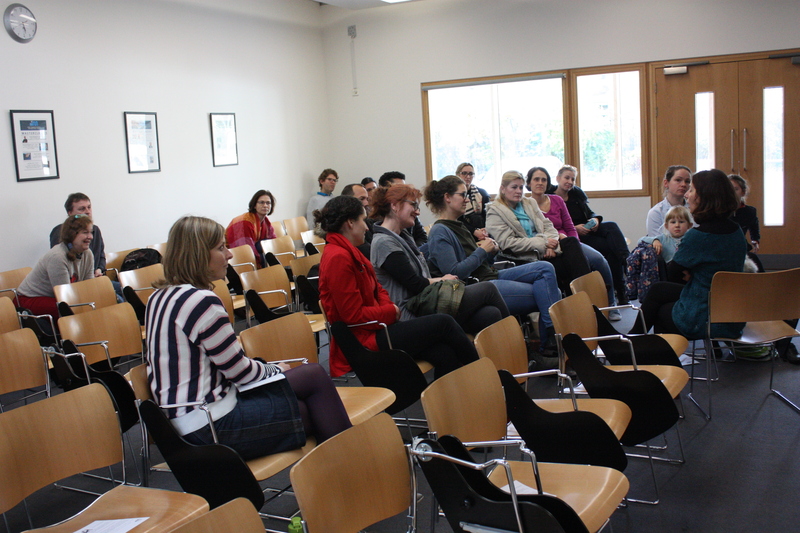 Moreover, everyone had a chance to talk in Czech with friends or with teachers from the Czech School without Borders, London. 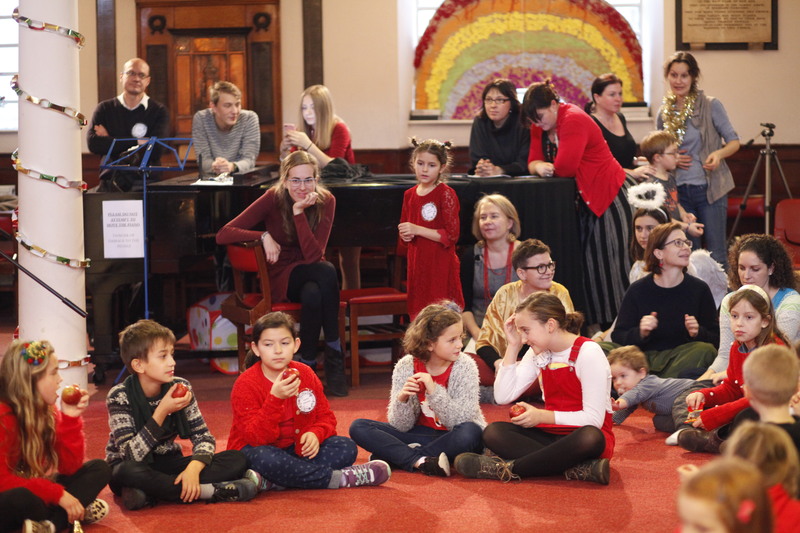 On the 5th December 2018, a Czech School Without Borders, London acting in Harpenden organized an annual Winter session on the occasion of coming Christmas. 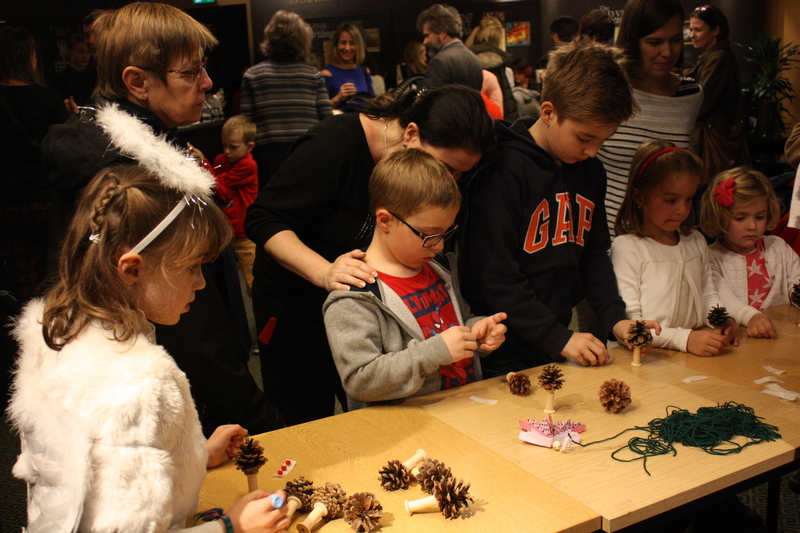 Children made their own Christmas tree decorations, sang Christmas songs and played a few games together with their parents, such as pantomiming. 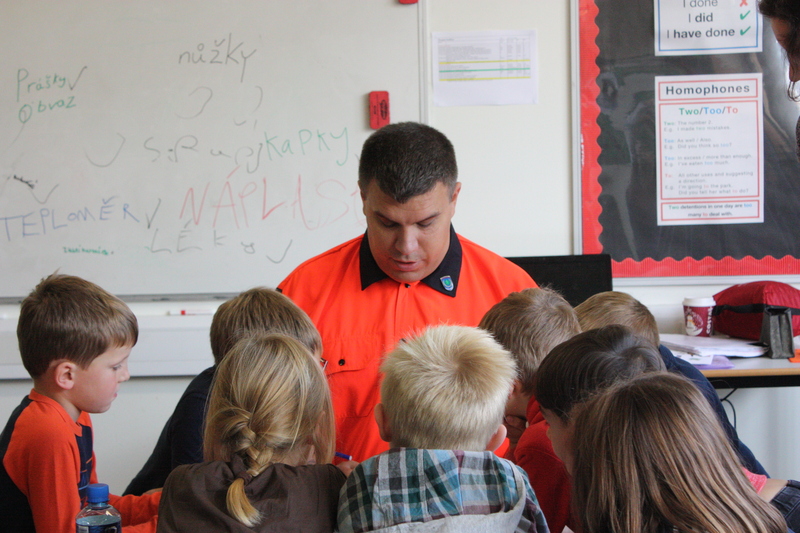 We even celebrated a birthday of one of our pupils. 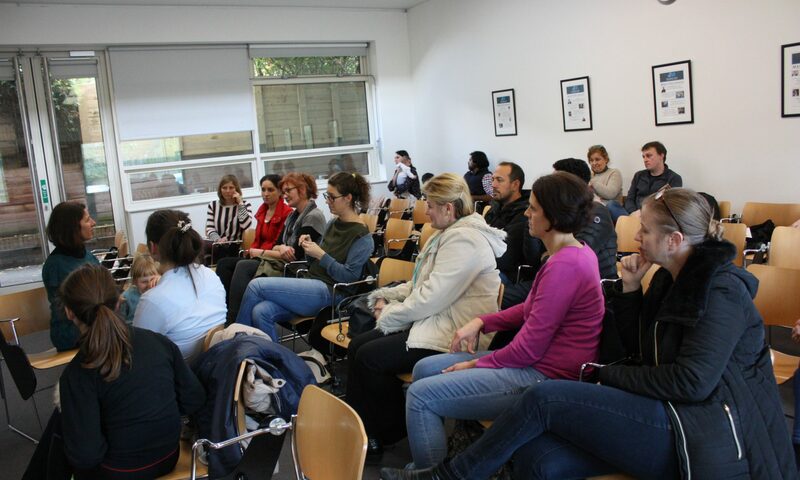 Moreover, a special host from Czech School Without Borders in Madrid, Veronica, took part and helped us with the organization. 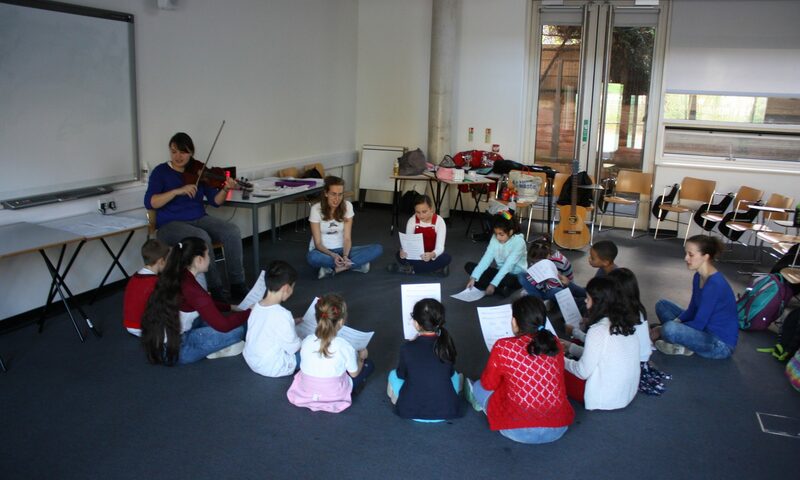 The session was very pleasant as children enjoyed the afternoon full of songs, games and Christmas atmosphere. 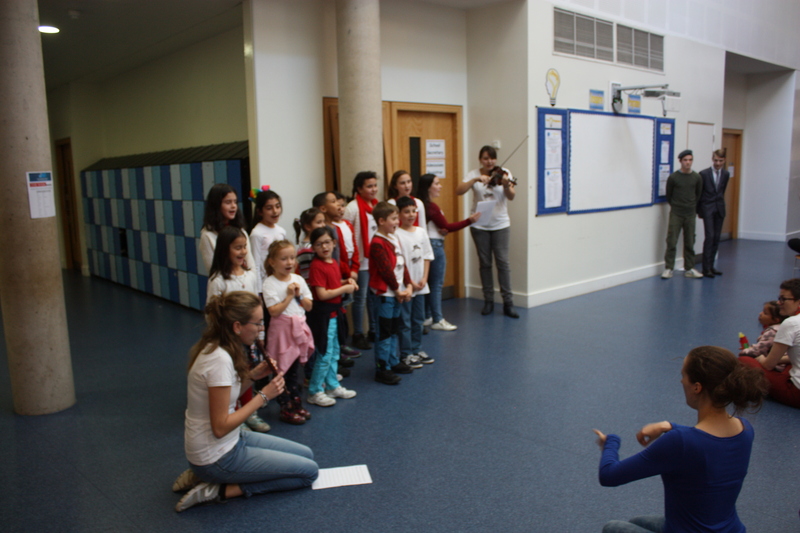 On Saturday, November 17, 2018, an event called “KLAUNIÁDA” took place at the Czech School without Borders, London. 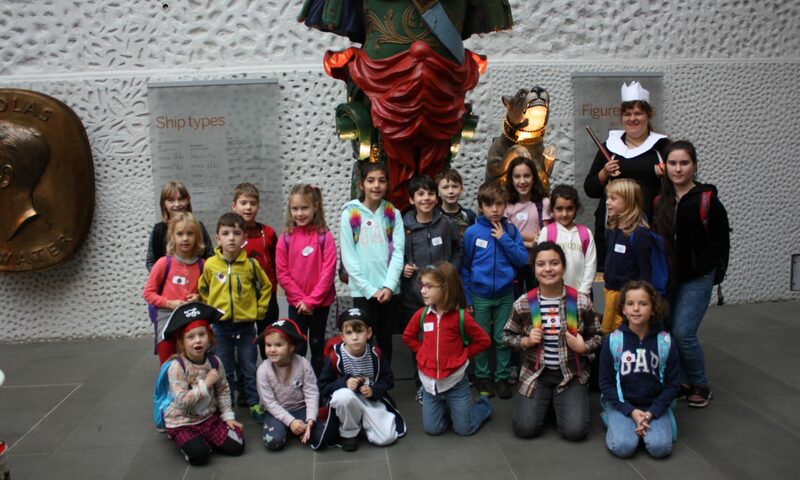 The event was held for pupils from kindergarten to grade 4. 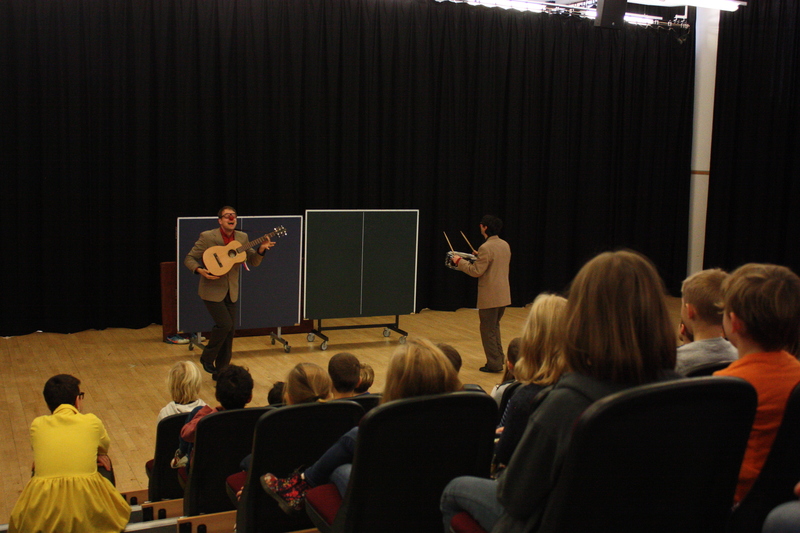 The school was visited by two clowns from The Bolek Polívka Theatre Ensemble from the Czech Republic. 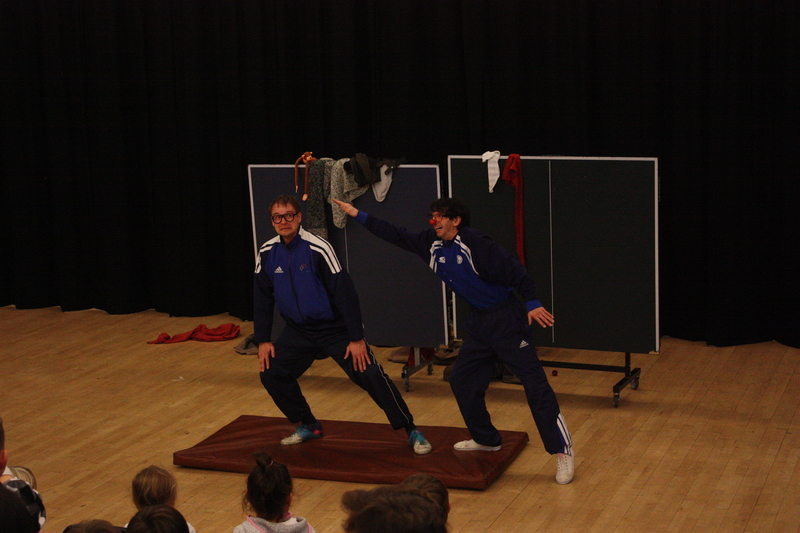 The Clowns played a theatrical performance about two gymnasts from the Czech association called The SOKOL (The FALCON). 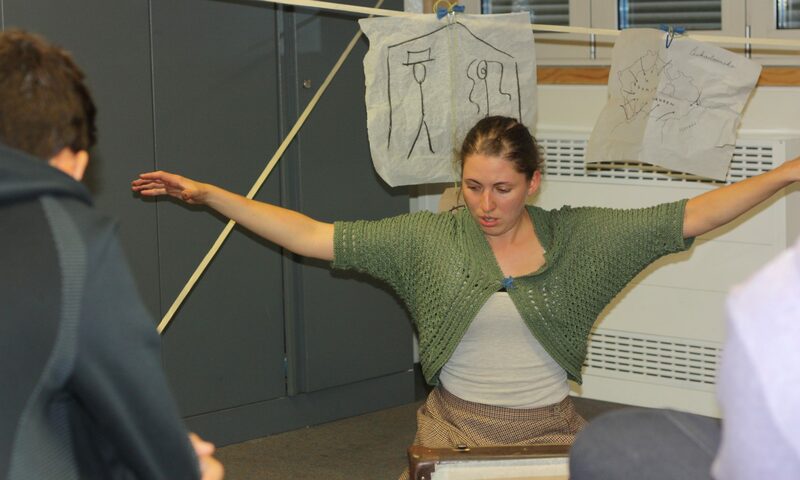 During the show, they pretended to fight and they were merely teasing each other. 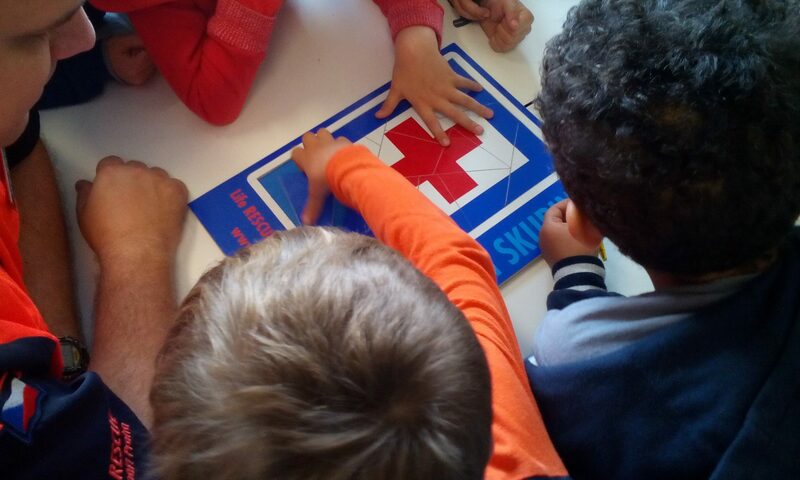 This initiated a series of comic moments which was fun for both the children and the teacher. 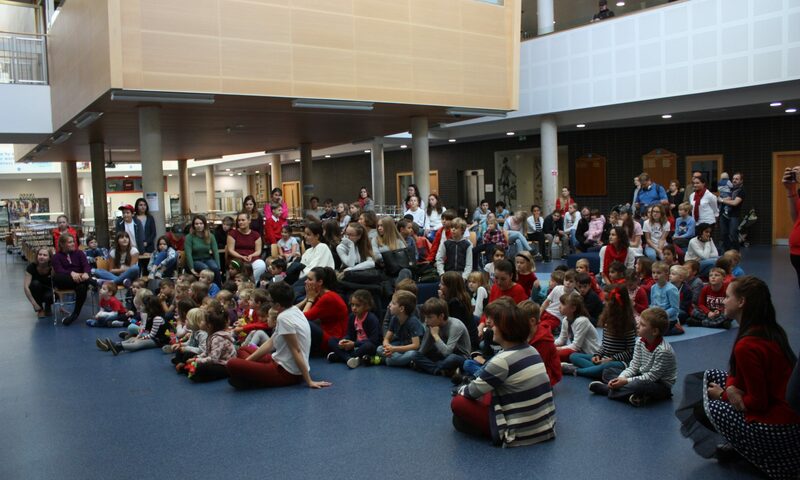 On the backdrop of all jokes the children witnessed a wonderful friendship between Čeněk and Břeněk, saw several acrobatic elements, heard The SOKOL (The FALCON) anthem and found that The FALCON is not just the name of a bird but it is also a name of a physical educational community which has a strong connection to Czech history. The whole performance was very enjoyable for children as they were singing, stumping and dancing with the clowns as the performance came to the end. 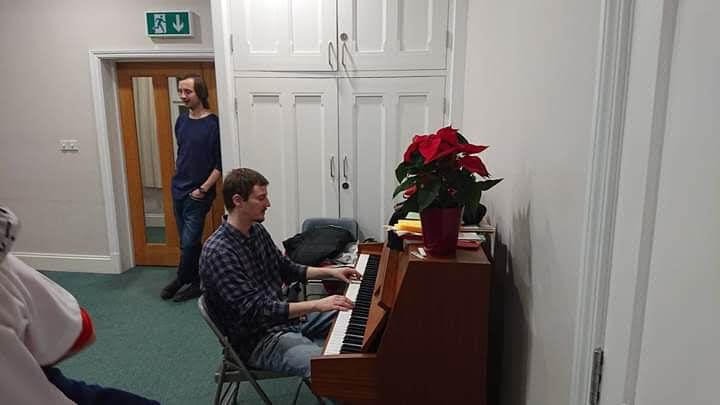 Everyone, who attended the show, was leaving with a big smile on his face. 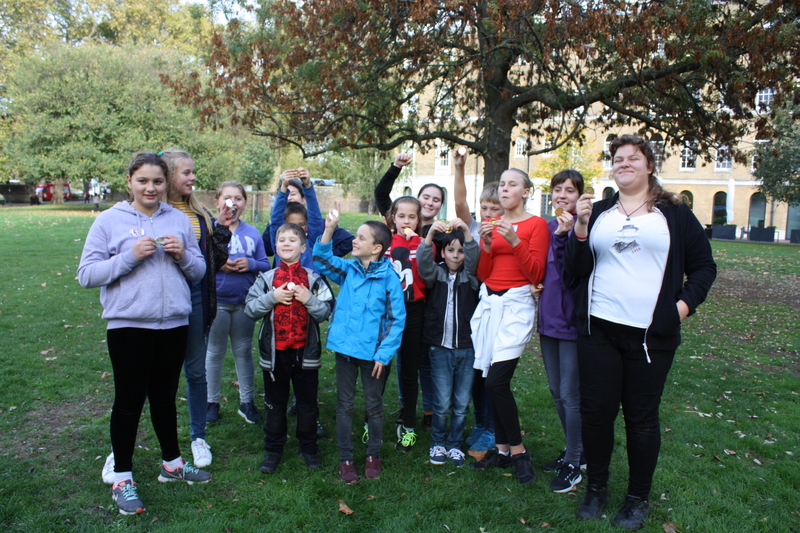 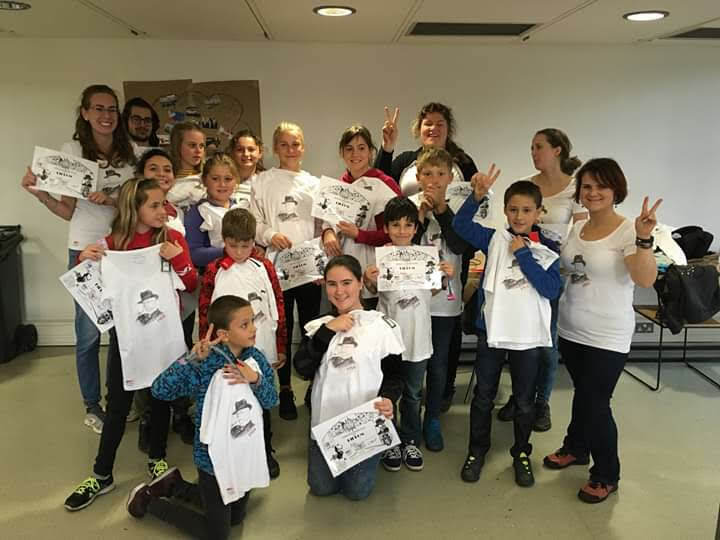 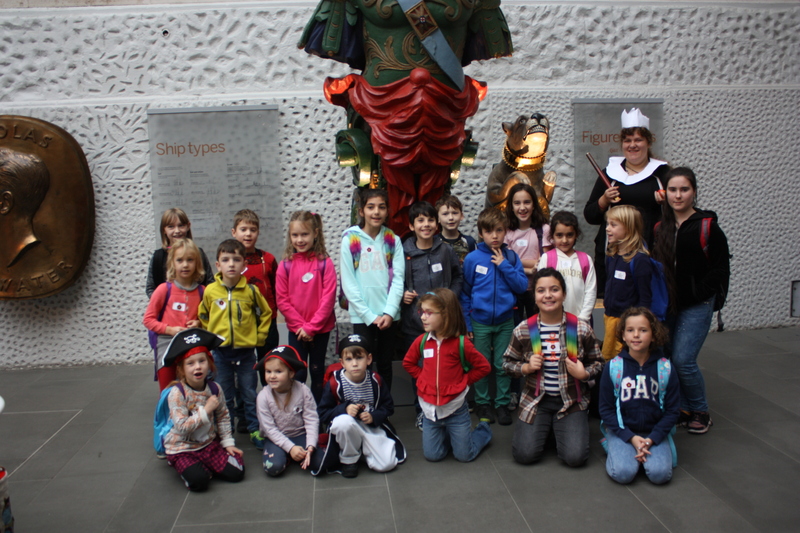 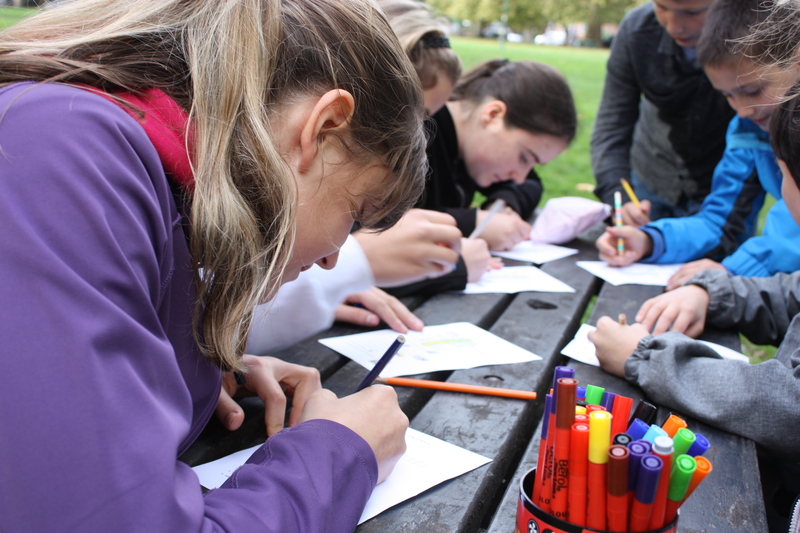 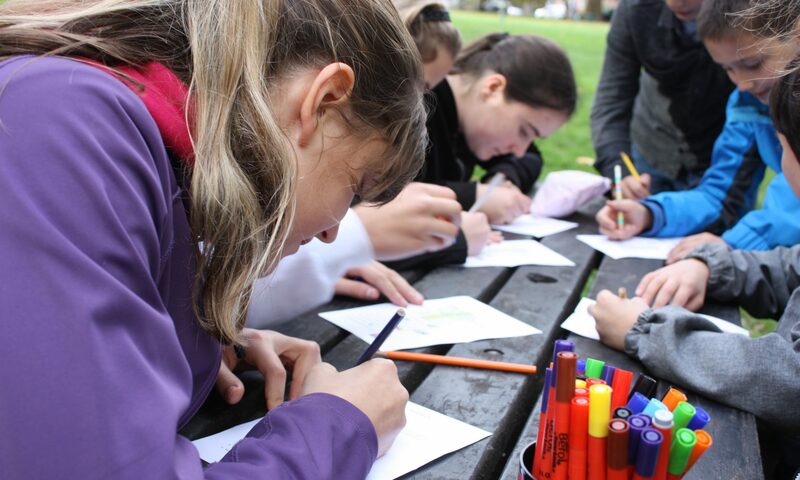 Czech School without Borders, London prepared a craft workshop for children on the occasion of a screening of Czech fairytale film called Anděl Páně 2. 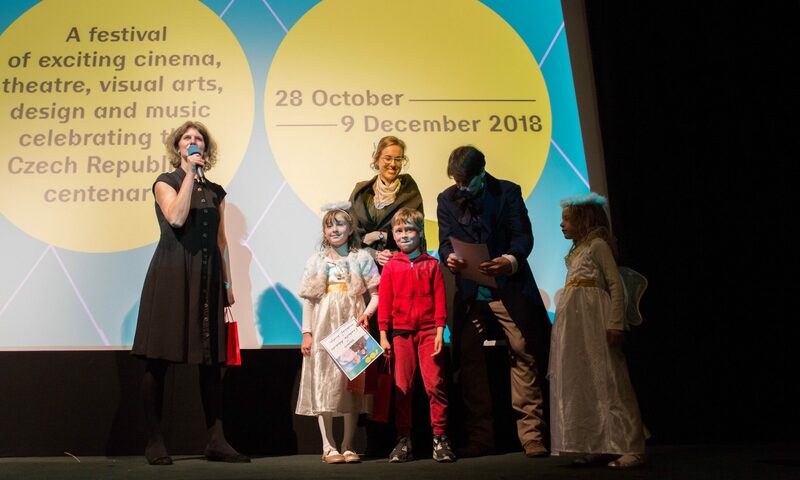 The screening was organized by Czech Centrum, London in Regent Street Cinema on 4th November 2018, as a part of festival CZECH 100 remembering a centenary of the Czech Republic. 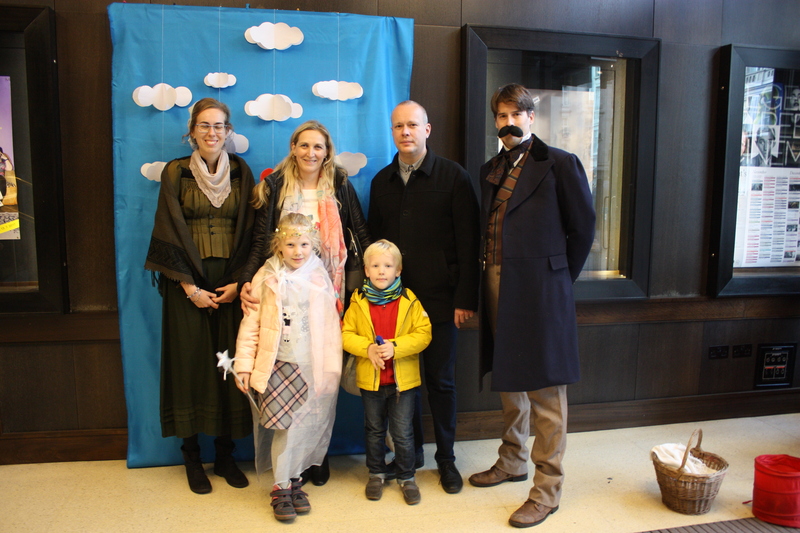 From 13:30 children were coming in fancy costumes of small devils and angels in order to take a picture with two figures from the film itself. 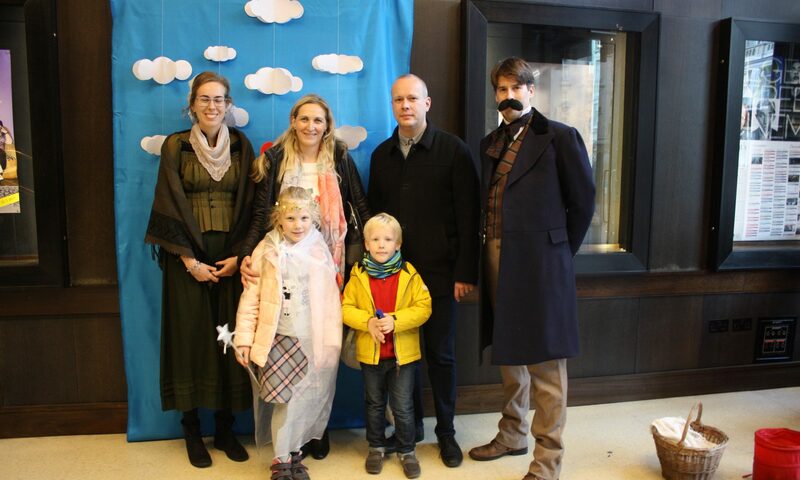 The two figures were two volunteers that wore the original costumes from the film that were borrowed by the filmmakers from the Czech Republic. 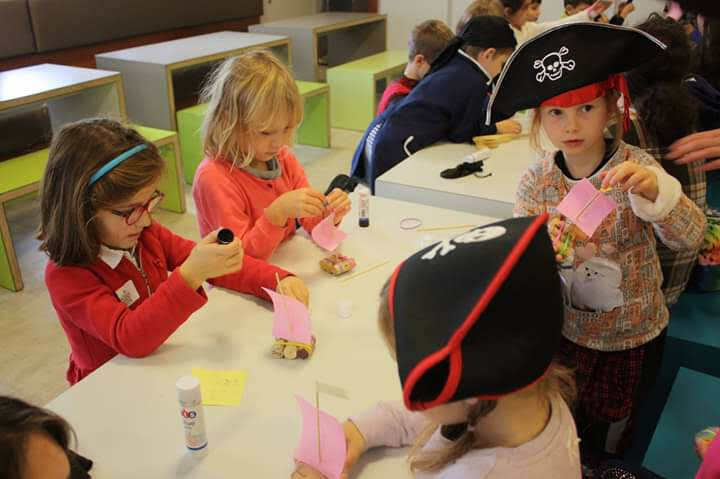 After the screening children could make three different toys that were inspired by the film plot. 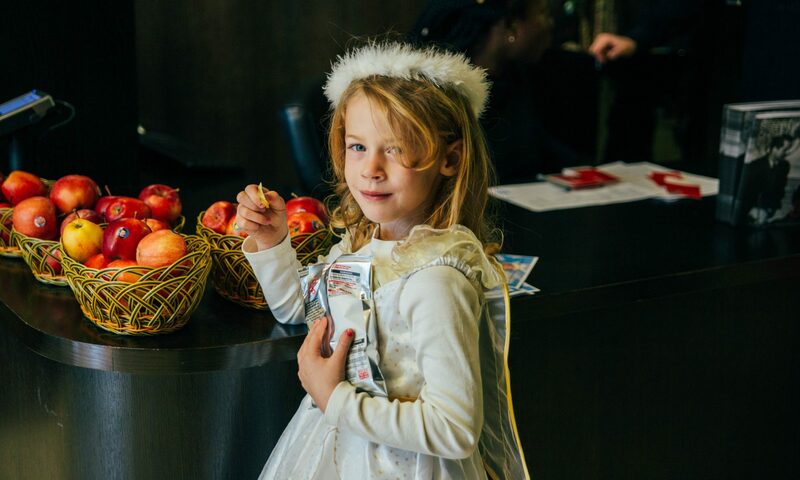 Children enjoyed film screening and they went home with the devil´s pipes, paper angels and apple trees from cones. 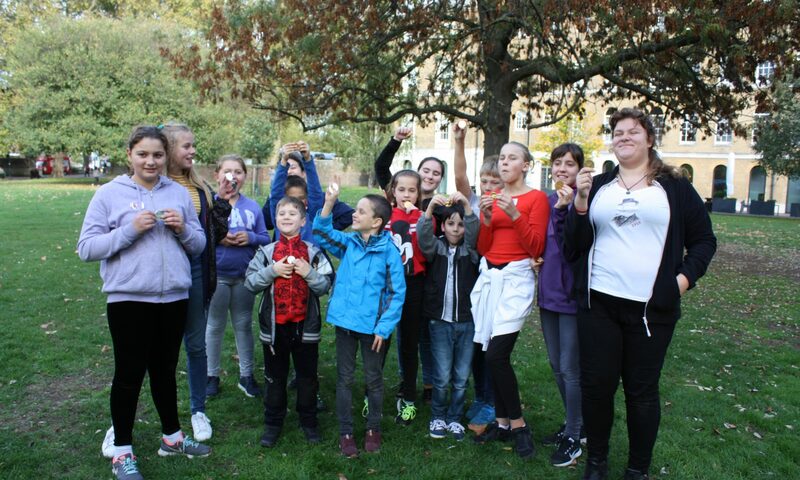 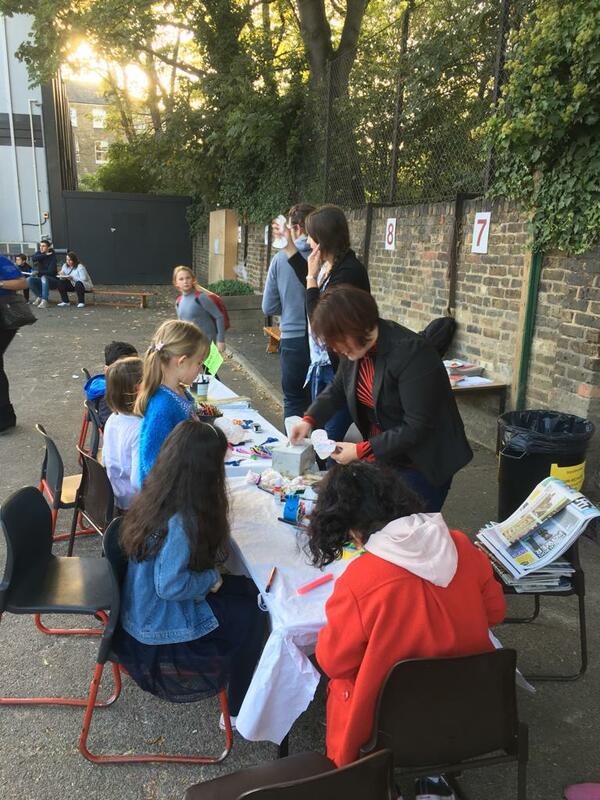 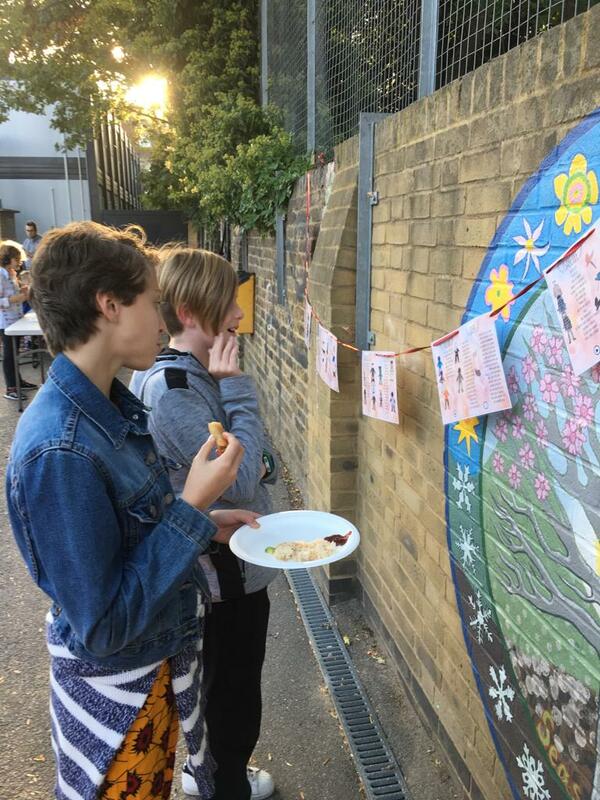 On 4th October at the Tufnell Park Primary, Islington, there were International day celebrations with the Czech School without Borders taking a part. 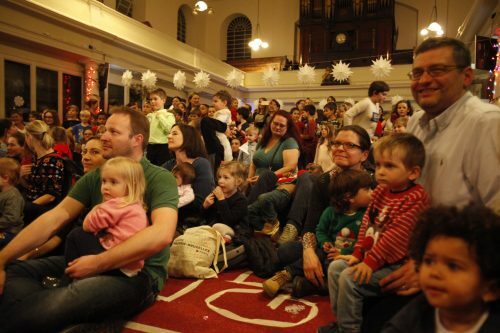 The event lasted two to two and a half hours. The Czech school hosted a stand with handcrafting and art activities. 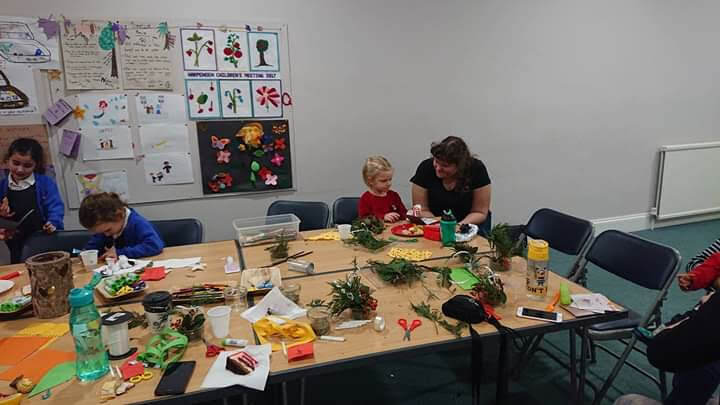 Children had the opportunity of creating snails from newspapers, templated helicopters, flags from colourful papers they were cutting out, but the favourites were spectacular butterflies from tissues and pegs. 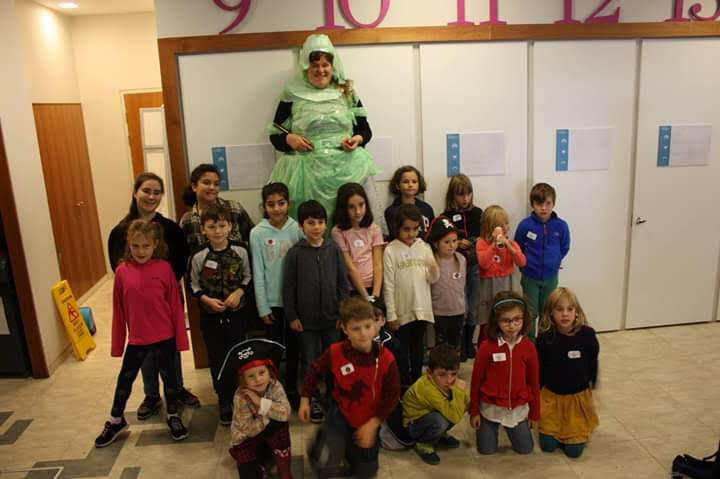 This part was led by the preschool teacher of the Czech school and its interns. 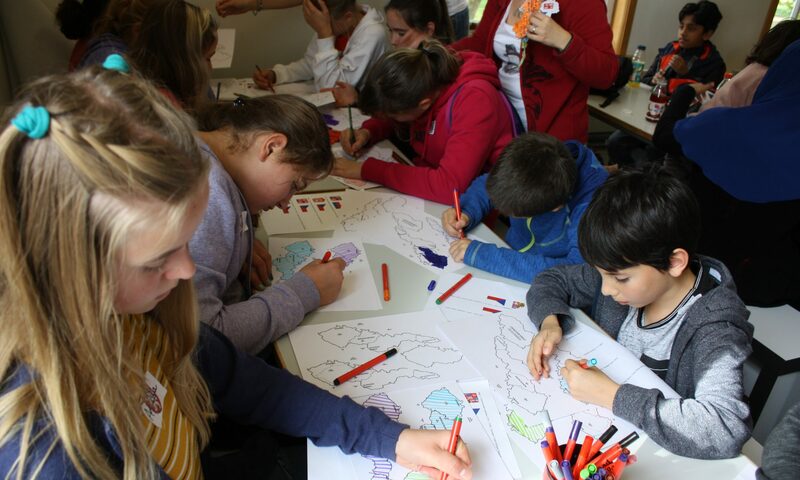 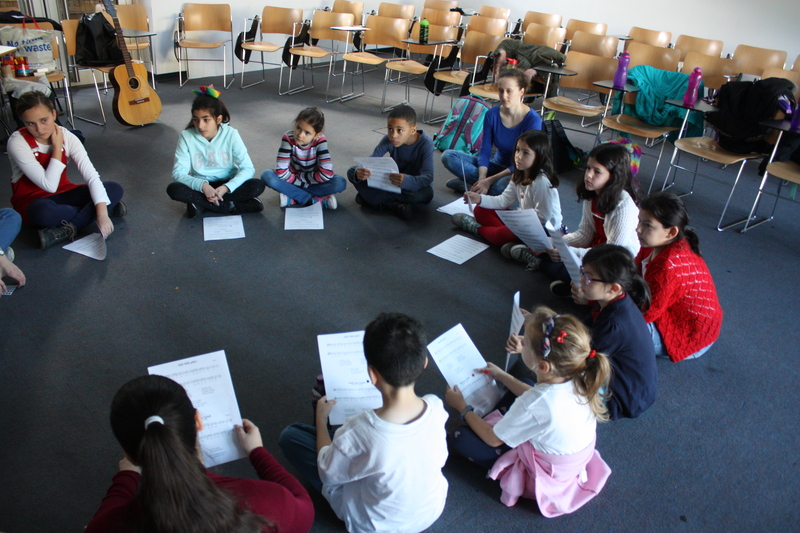 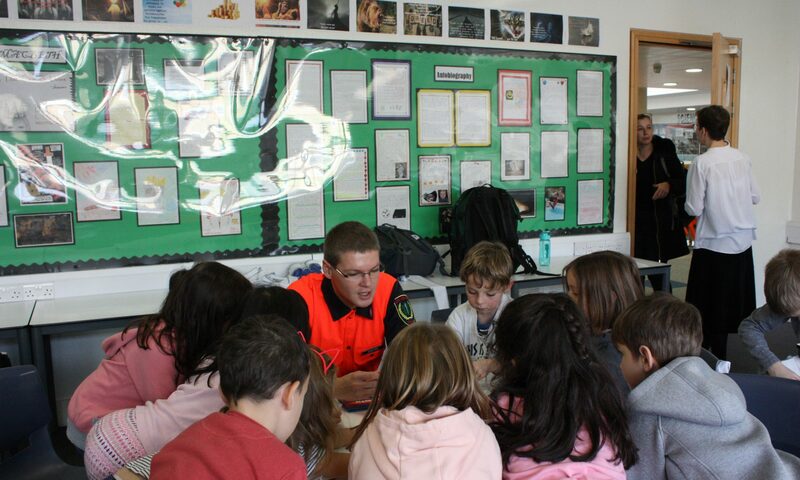 Besides, thanks to a dear member of the Czech school committee the children could listen to poems that were being made on an emigration themed workshop Taking Flights and throughout the whole last year. The poems were written by Czech kids in English and then recorded so you could dive into a stream of deep meaningful words. An undividable part of the event was intercontinental cuisine. 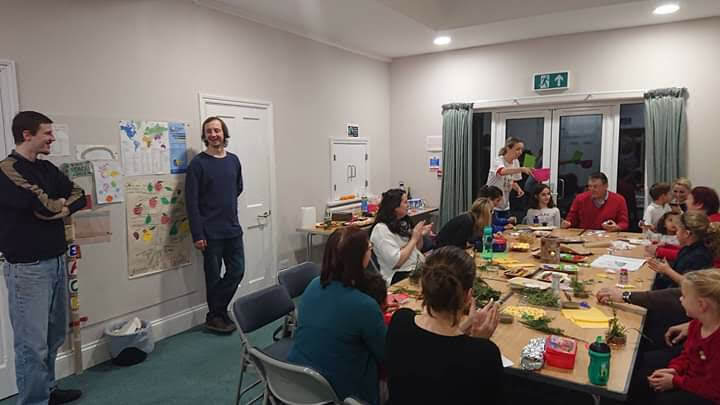 The parents brought some of their national dishes, both sweet and savoury and meaty and vegetarian. 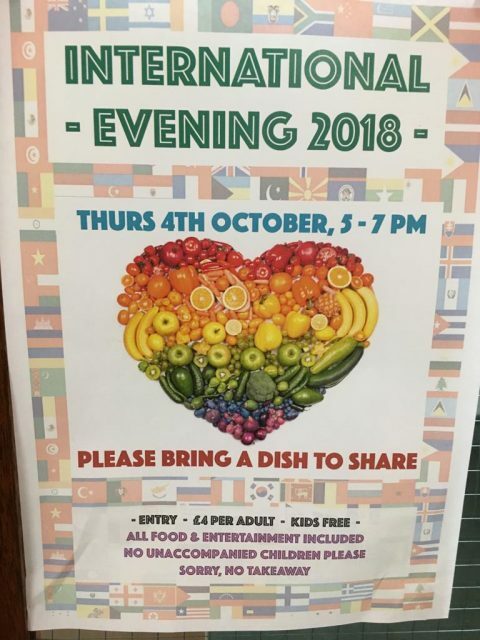 To mention, for example Palestinian falafel, the German and Polish versions of a soft plum cake, Georgian BBQ, Italian pasta and real American doughnuts. 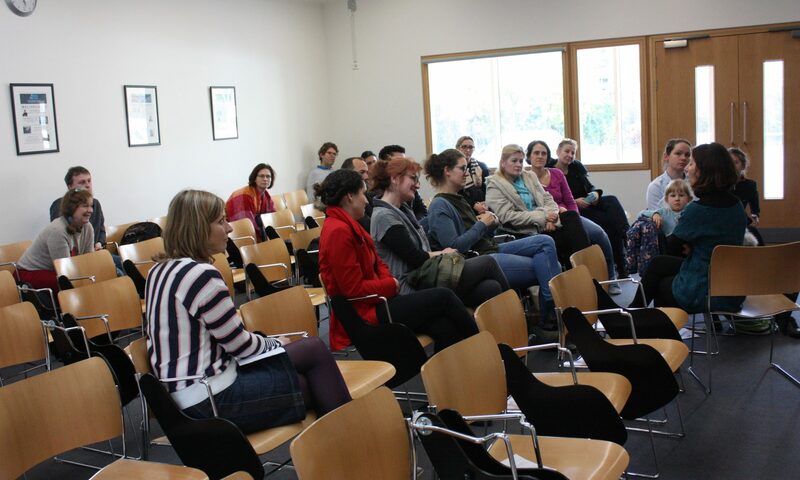 The theatre performance called PLAY Through The Borders was held in Czech School Without Borders, London on Sunday 15th September 2018. 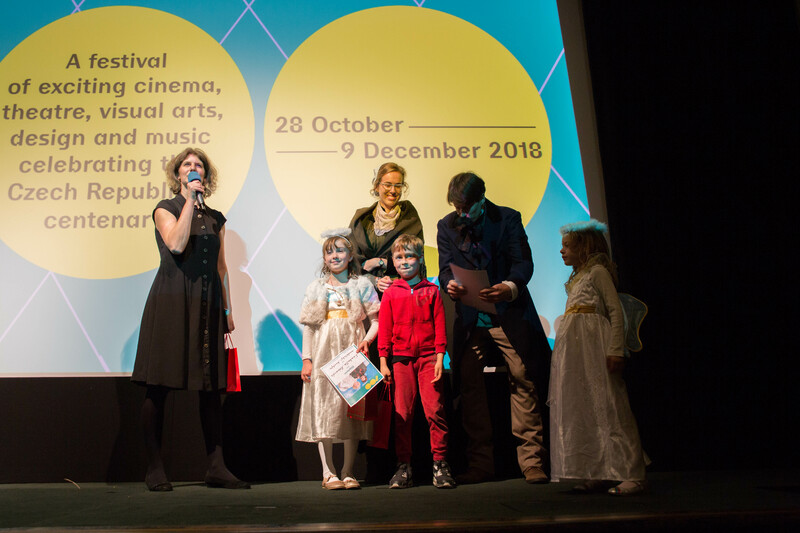 The performance was prepared by Michaela Váňová (screenplay and directed by her herself), a Czech actress and a theatrical lecturer of Czech Theatre Minor. 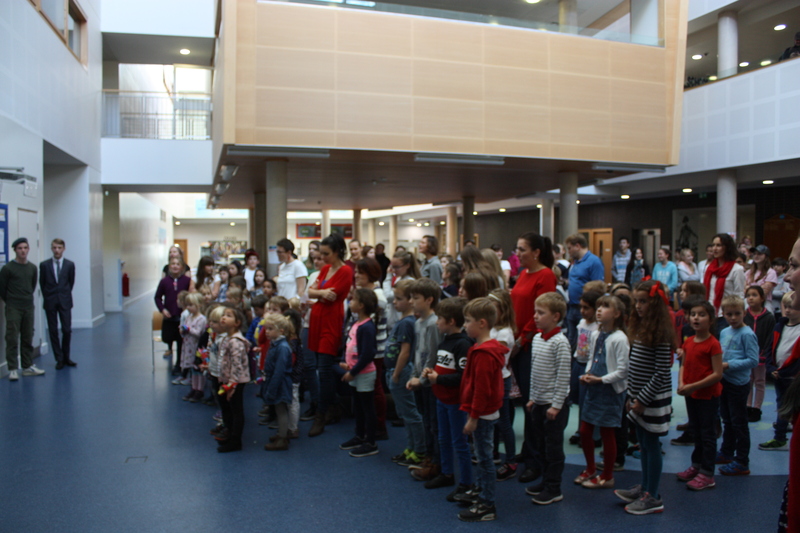 The solo performance inspired by the real stories of children from so-called Kindertransports was accompanied by the music of David Hlaváč. 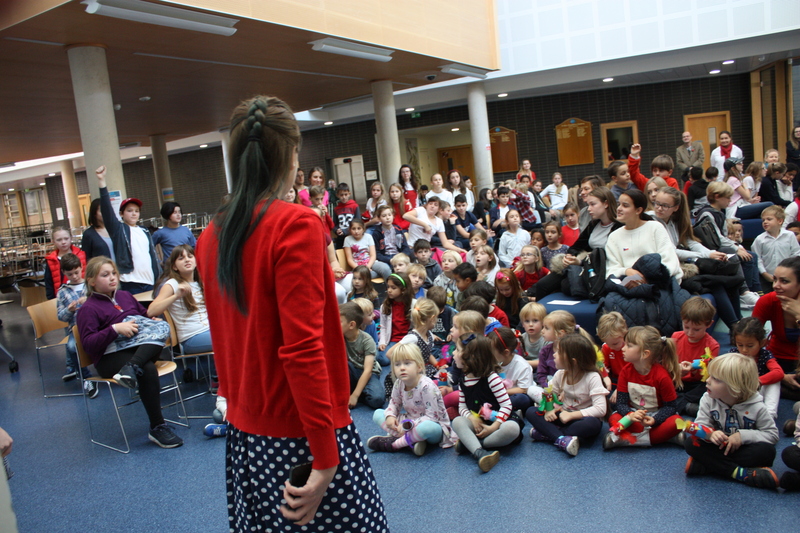 The performance took place in the library two times, firstly for children from the fifth and the sixth class, secondly for the pupils of the seventh, eighth and the ninth class. 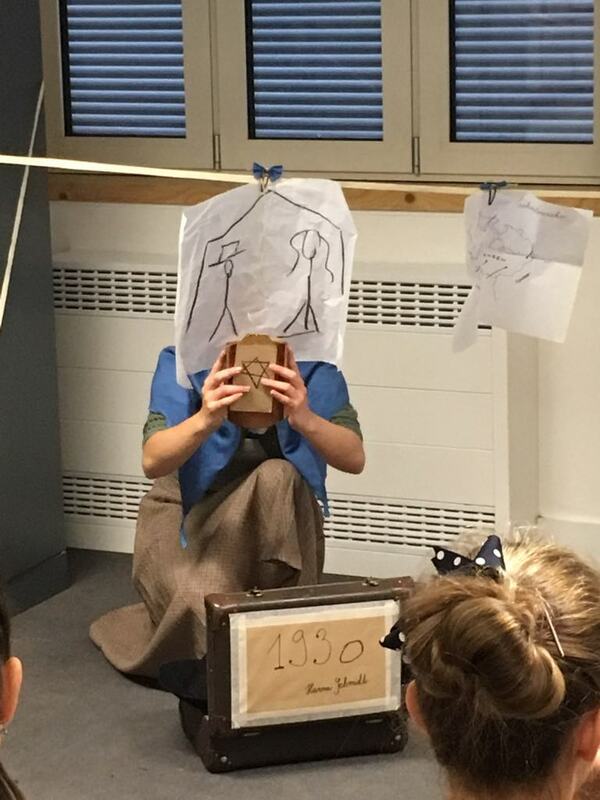 The Kindertransports were the main topic of the play. 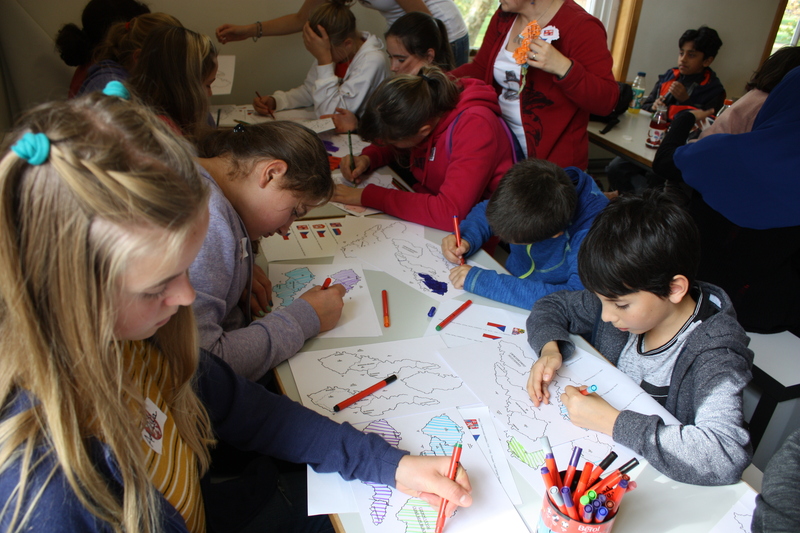 The kindertransports were trains with Jewish children going from Czechoslovakia to Great Britain thanks to Sir Nicholas Winton so who rescued over 600 children from going to concentration camps. 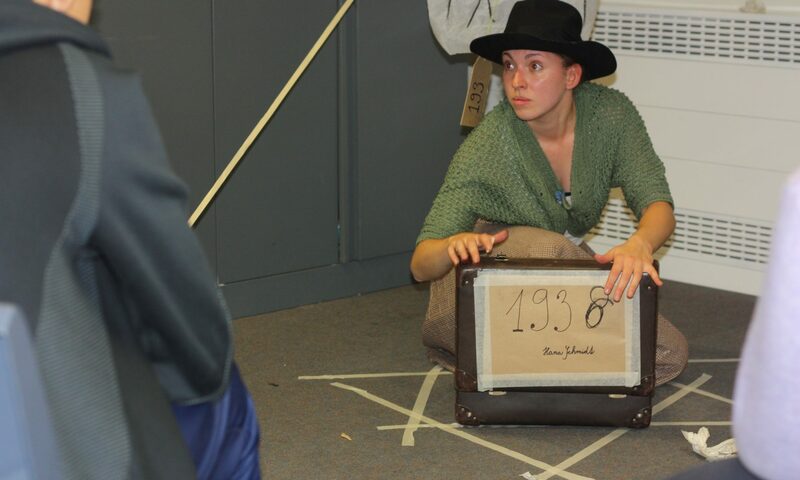 The actress, Michaela Váňová was inspired by the real stories of rescued “Nicholas Winton´s children.” In the play, Michaela is a nine-year-old Jewish girl Hana that is waiting on the small train station in Great Britain in 1939. 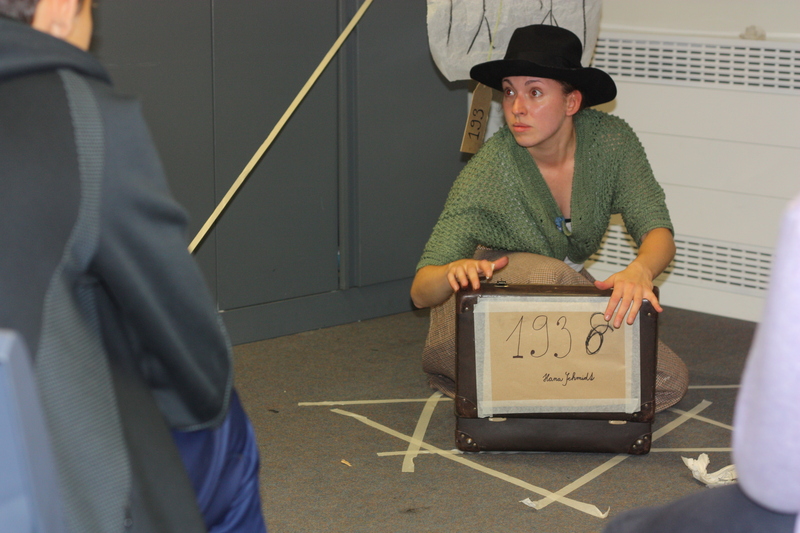 She is waiting for her new adoptive parents and she realizes that no one understands her. 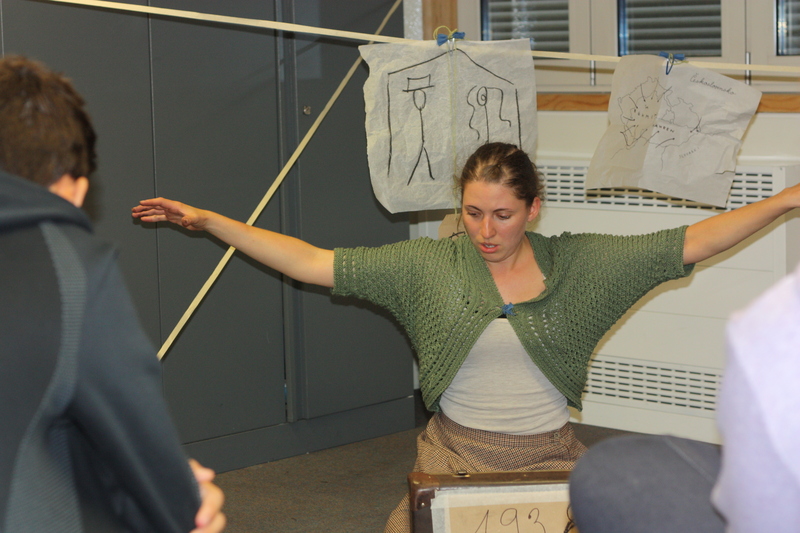 Through paintings, music, dancing movements and mainly words she explains her Jewish origin, the situation in Czechoslovakia and the reason why she had to leave her country. 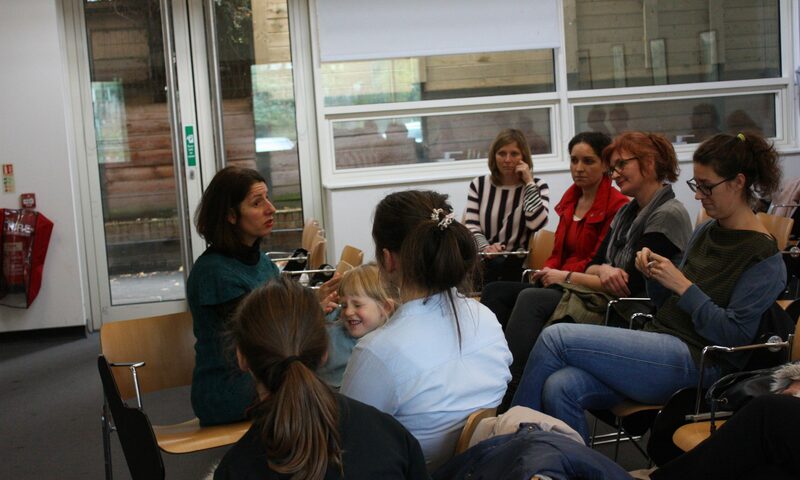 After the performance, there was a place for the questions and discussion so children could ask about the time of the play, about the story or the performance itself. 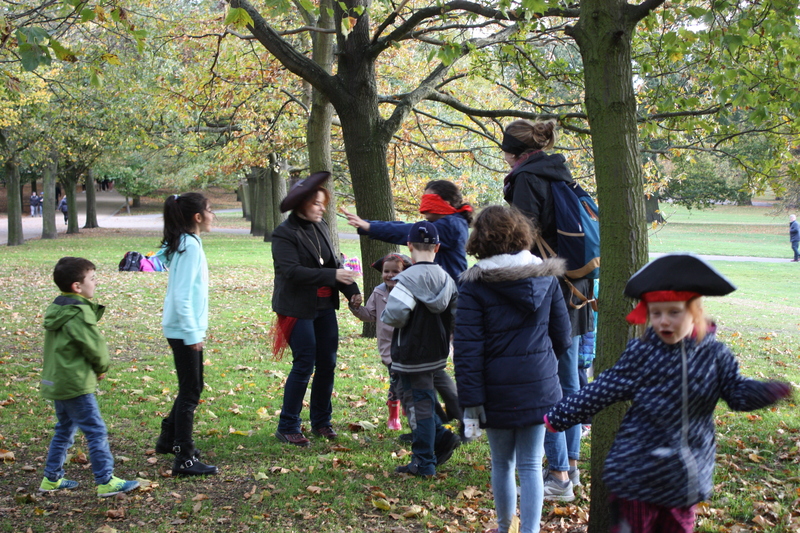 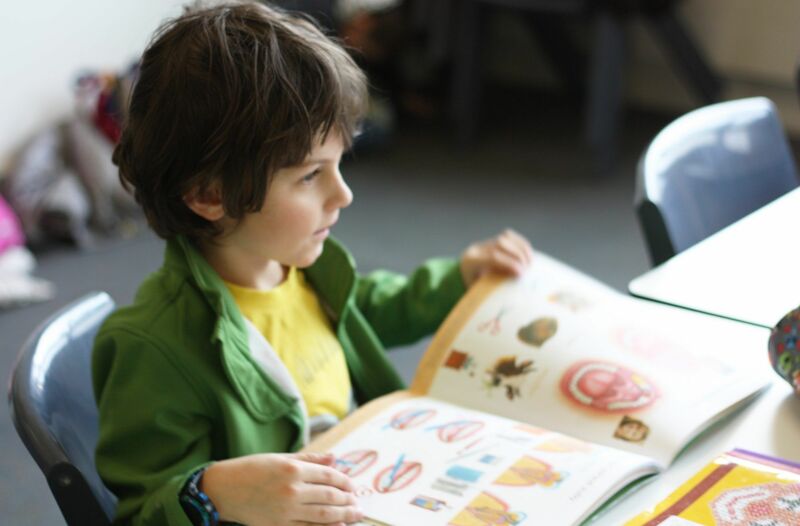 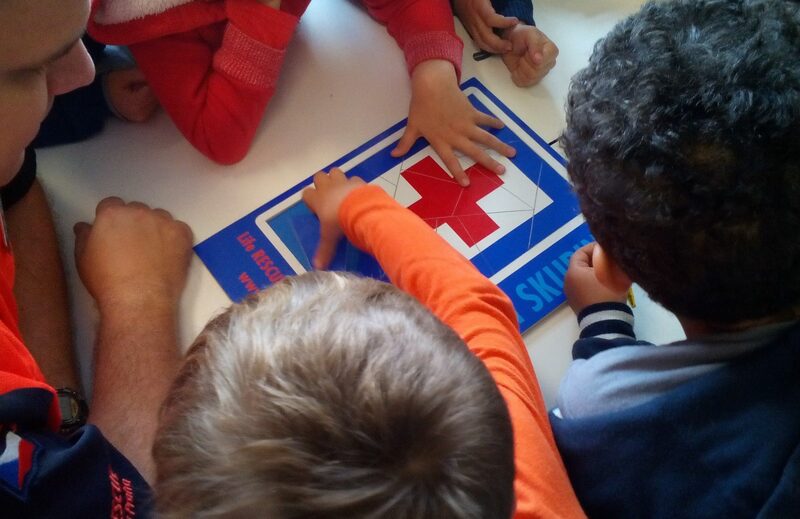 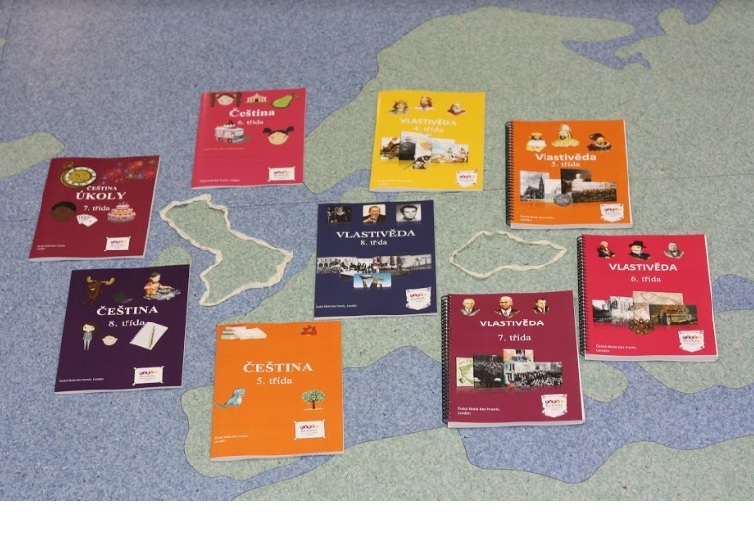 Children were interested in the play very much, they discussed together how they would behave in the similar situation, they also added their own stories and facts they have read, heard at English schools or they were told by their older relatives. 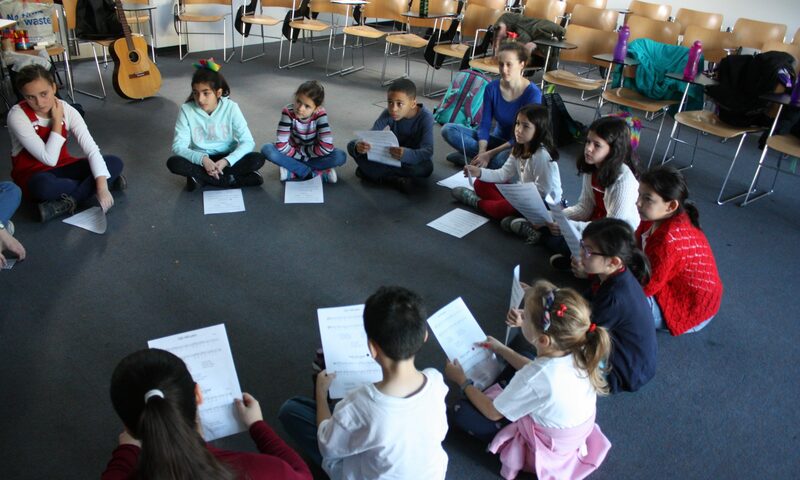 The performance in the Czech language with the educational idea supported the breaking of language and cultural barriers; it also supported the intercultural thinking and the feeling of national identity of Czech people living abroad.